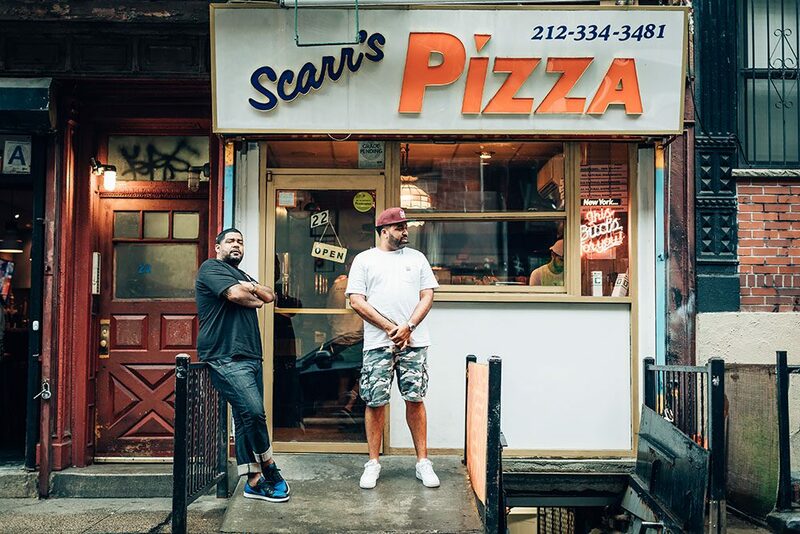 From Cyrus Bennett’s going pro party to Jordan Trahan’s Eat Like a Local episode, Scarr’s Pizza has been getting a lot of love from New York’s skate community since opening two years ago. Located on a block of Orchard between Labor and Max Fish, and just a few blocks from LES skatepark, it’s no wonder Scarr’s gets a lot of skate traffic. But the pizza is actually some of the best in the city, and made from 100% organic ingredients. Scarr Pimentel breaks down why so many people swear by his slices in his new interview with The Hundreds. Head over to The Hundreds site to learn more about one of New York’s favorite downtown hangouts. UPDATE 10.6.18: Scarr continues to build the brand via a new collaboration with Stray Rats and Carhartt WIP. Have a look at the two shirts, and details for the release event below. If you’re in New York, stop by 172 Allen Street this weekend to check out the pop-up store.